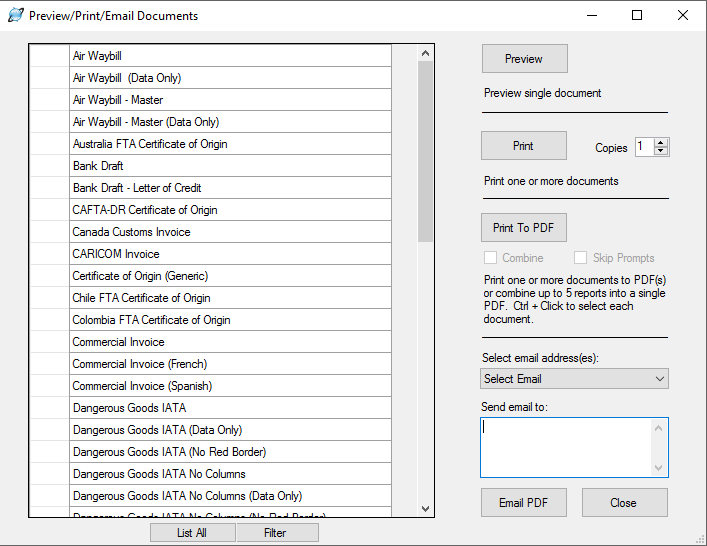 Once you’ve entered your export information into Shipping Solutions’ EZ Start screen, click on the Preview/Print/Email menu to review your documents, print them out on plain paper, and/or email them to your customer or freight forwarder so they can print them out themselves. Because you can print your forms* on plain paper, you don’t have to purchase and stock preprinted forms. 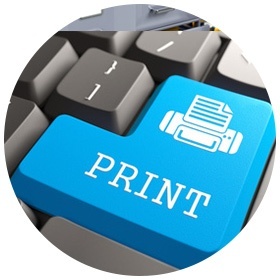 View a list of export forms you can print with Shipping Solutions. Read more about the Preview/Print/Email screen in the Shipping Solutions blog. *Since some forms include color elements, Shipping Solutions gives you the option to print these forms onto existing pre-printed forms. The IATA Dangerous Goods form requires a red stripe down both sides of the page and the IMO Dangerous Goods form includes an optional blue stripe down both sides of the page. Shipping Solutions allows you to print these documents with the appropriate color stripes on a color printer. If you don’t have a color printer, you can print the forms on pre-printed paper.